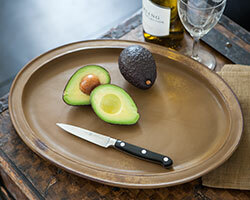 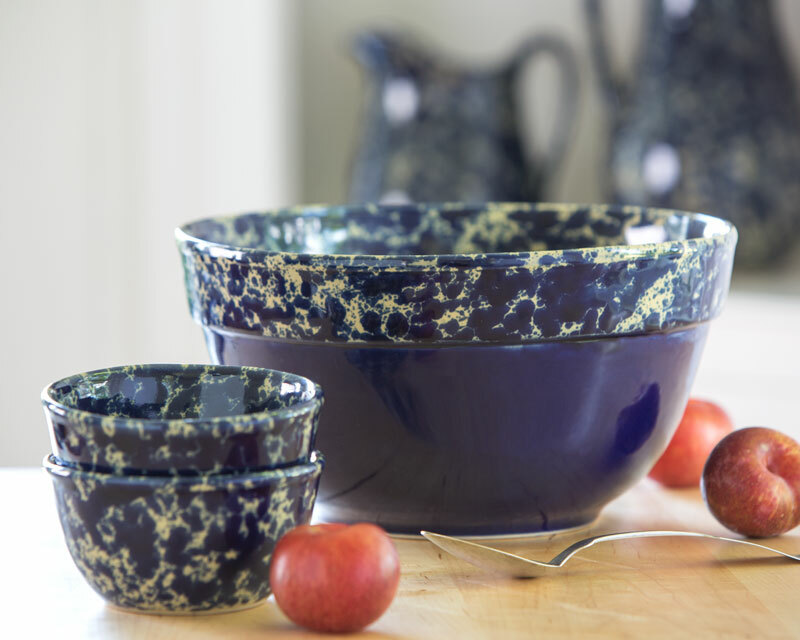 Our interpretation of a kitchen classic, Bennington's Farmhouse Bowl makes a statement! 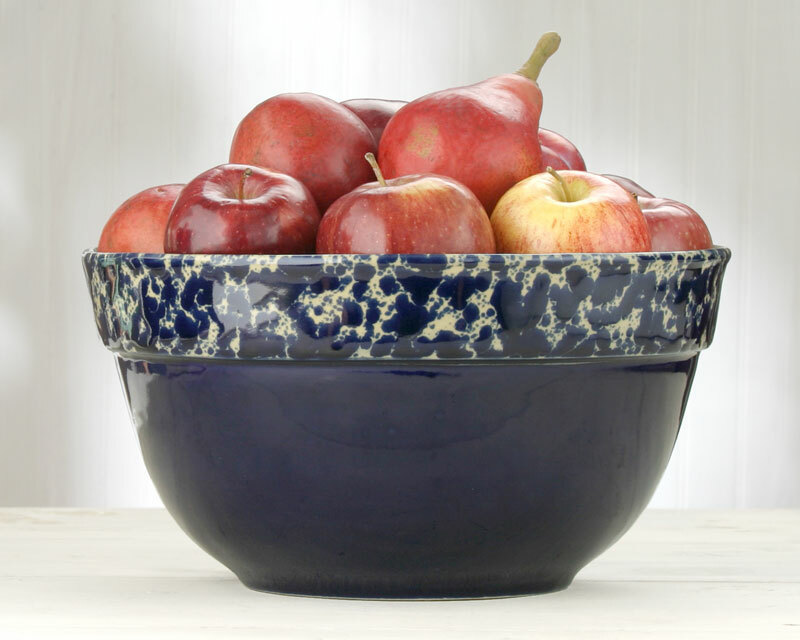 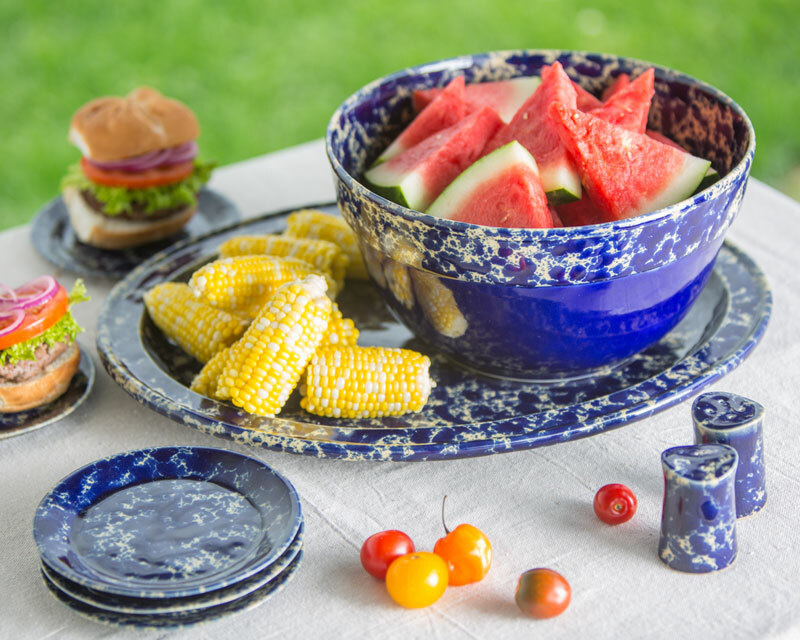 Big, bold & beautiful, this 6 quart stoneware pottery bowl is sturdy and fully functional. A special Bennington design with cuff rim and unique hand glazing. 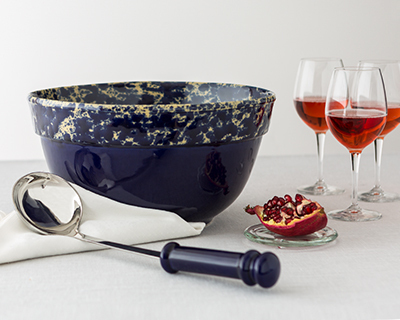 The Blue Agate bowl is solid blue on the outside to the agate rim and interior. 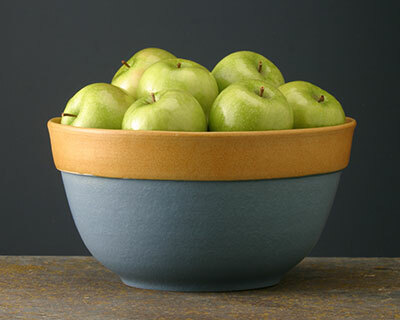 Our Elements bowl combines two of our gorgeous matte glazes; Elements Blue exterior to Elements Gold rim and interior. This agate bowl was to replace my even bigger one that split during a move from California. 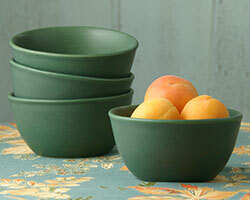 It is in use every day and never leaves my counter. Love the quality and beauty and wish the even larger bowl was still in production.